A multi-disciplinary conference to imagine the potential for Green Infrastructure to act as a catalyst in driving urban design into the 22nd century. 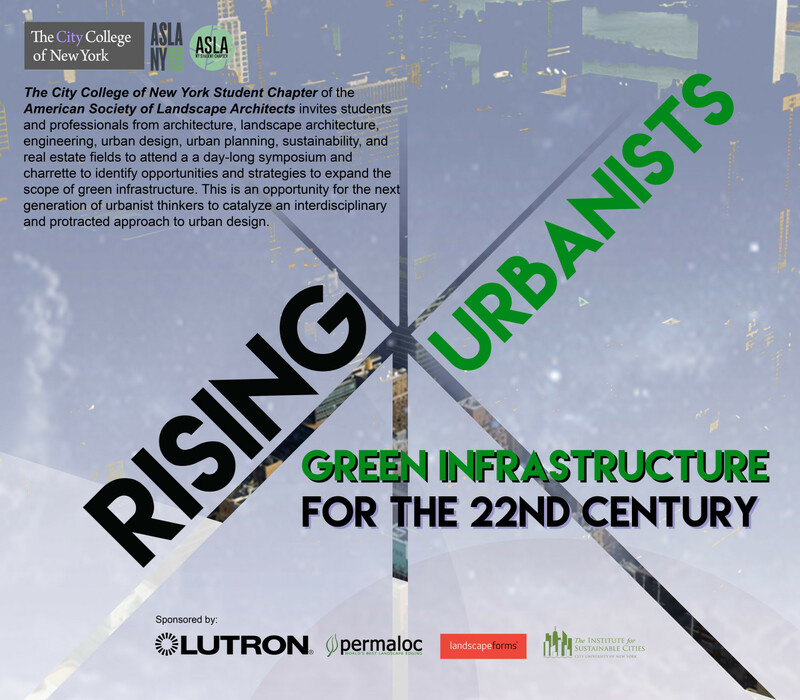 The CUNY Institute for Sustainable Cities joins the City College of New York Student Chapter of the America Society of Landscape Architects to invite students and professionals from design, planning, engineering, and environmental fields to attend a day-long symposium and charrette to identify opportunities and strategies to expand the scope of green infrastructure. This is an opportunity for the next generation of urbanist thinkers to catalyze and interdisciplinary and protracted approach to urban design. The conference will take place on Friday, April 14, 2017, from 9:30 AM to 5:00 PM in the Hunter College West Building, Room HW714. Landscape architecture professional attendees of the conference will be eligible for 3.0 continuing education credits for attending the conference and participating in the design charrettes. Advanced registration is required. Click here to register. Registration is $10 for students and $25 for professionals and the public. Break into interdisciplinary groups to address design challenge. Presentation of designs and final remarks.